FOX has officially picked up the US animated adaptation of Sit Down, Shut Up retitling it as Class Dismissed. The short-lived Aussie sitcom based on the lives of self-absorbed staff members at a high school will be set in a small northeastern fishing town. As previously reported it is under the creative watch of Arrested Development’s Mitch Hurwitz. It joins another new animated series already picked up for next season, Family Guy’s spinoff Cleveland. 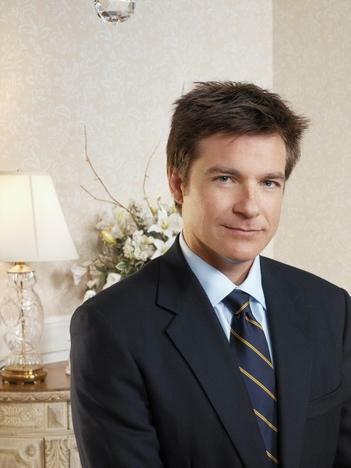 The voice cast includes Jason Bateman (pictured), Will Arnett, Henry Winkler, Cheri Oteri, Will Forte, Regina King, Nick Kroll, Tom Kenny and Maria Bamford. FOX has also ordered J.J. Abrams’ sci-fi drama Fringe which stars Australian actress Anna Torv (Secret Life of Us, Mistresses) as a young FBI agent forced to confront the spread of unexplained phenomena and work with an institutionalized scientist (John Noble) and his son (Joshua Jackson). ‘Til Death starring Brad Garrett and Joely Fisher was also renewed. As previously reported, Back To You was axed and The Inn, directed by Jason Bateman, was picked up. They’re spinning off the unfunniest character from the unfunniest cartoon on FOX? :/ Jeez. I can’t see it lasting beyond its initial run, unless they pull a Raymond/Seinfeld and Cleveland has a strong supporting cast (which I doubt). Should be interesting to see how Sit Down, Shut Up will turn out, although I can’t imagine it lasting very long given the rather restrictive context in which it’s set. The only new FOX show I’ll be watching this year is Dollhouse. Even though its on FOX and its likely it’ll be axed before a second season, anything by Whedon is destined to be remarkable television. I might give Fringe a shot as J.J.Abrams is a great director, but chances are that’ll be given the axe too. FOX is annoying.The only good shows on that network are Family Guy and Prison Break (although season 3 sucked). The Cleveland spinoff might be worth checking out as long as they make it more like Family Guy and less like American Dad, and I won’t bother checking out any of their new sitcoms after what they did with Back to You.